The 2019 Subaru Impreza near Longmont CO remains one of the highest-rated compact cars on the market. 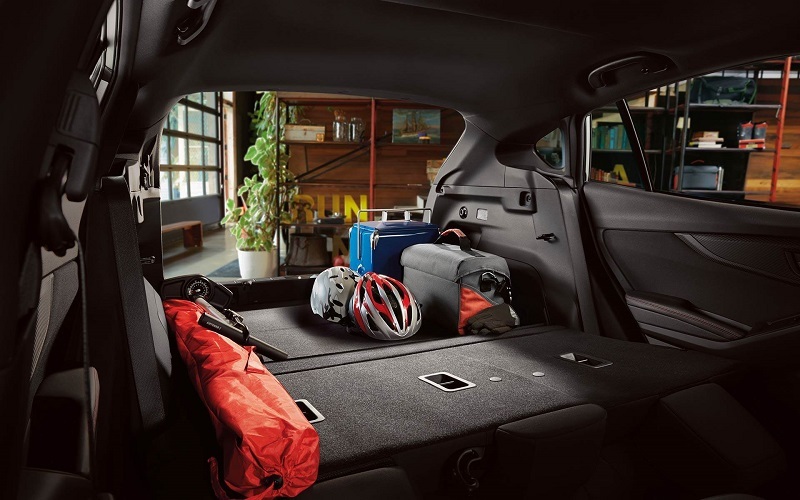 While some drivers will prefer the sedan, the hatchback model rewards you with extra cargo space. Regardless of which version you choose, you can look forward to experiencing a great deal of comfort. Superb crash scores make the new Impreza an even better choice for families. Even if you choose the base model, you'll enjoy a long list of great features. To save big on a new Impreza, visit your local Subaru dealer serving Longmont Denver Boulder Thornton! Let's see why so many people are raving about the new Impreza. The 2019 Subaru Impreza near Longmont CO is for the folks who enjoy driving a stylish ride. Because of the new Impreza's refined appearance, it'll remain looking stylish for years to come. Whether you're commuting to work or traveling out-of-town to visit friends, everyone will notice the Impreza's attractiveness. In the front, elegant headlights and a signature grille enhance the car's polished appearance. While the sedan will be a popular choice, the hatchback model looks especially adventurous. Available roof rails bolster the Impreza hatchback's cargo-carrying capabilities. Some of the cool paint colors include Lithium Red Pearl, Dark Blue Pearl, Magnetite Gray Metallic, and Crystal White Pearl. If you desire more flair, step to the higher trim levels. Adaptive LED headlamps come standard of the upscale Limited model. For the drivers who desire a more aggressive look, your dealer offers the Impreza Sport. It comes outfitted with a more striking set of 18-inch alloy wheels. 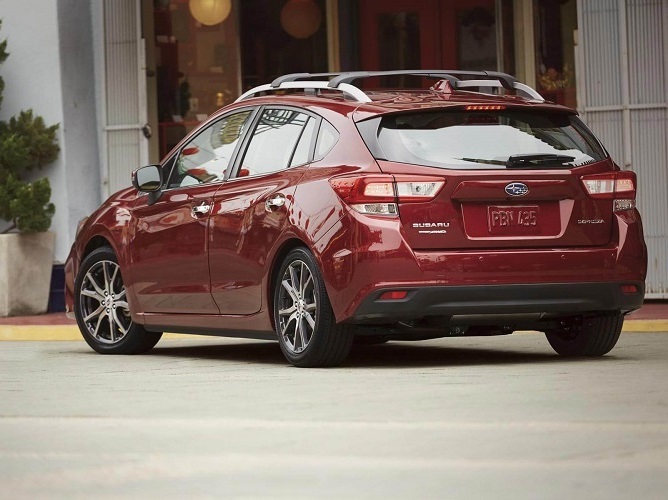 Body-color rocker spoilers take the Impreza Sport's curb appeal to the next level. A stainless exhaust tip and sleek trunk spoiler also help give the Impreza Sport the look of a true performance machine. To see the new Impreza in person, head down to your local dealer serving Longmont Denver Boulder Thornton! 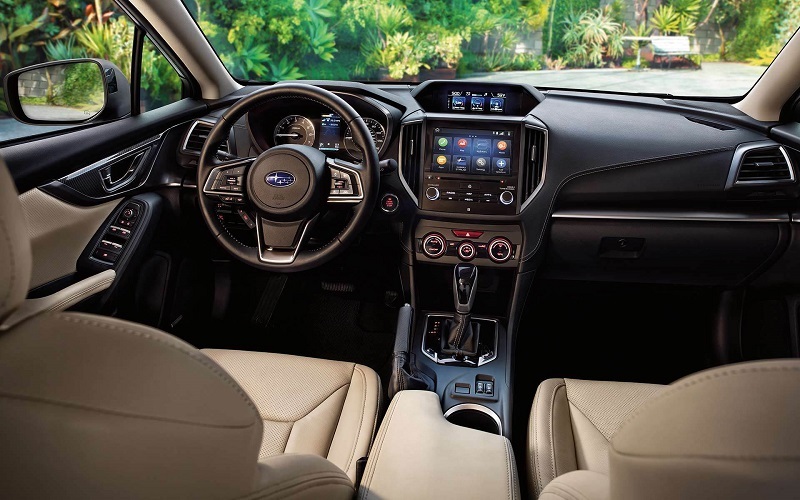 On the inside, the new 2019 Subaru Impreza provides an impressive amount of passenger room. This is a big advantage for the drivers who need to accommodate their family and friends. Supportive bucket seats enable you to experience an extra degree of relaxation. During the peak of winter, available heated seats wrap you in an extra layer of warmth. If you need to haul extra stuff around, choose the versatile hatchback model. A quality design makes the Impreza a true bang for the buck. Soft-touch materials are found throughout the cabin. Several popular features now come standard. Boasting a 6.5-inch touch screen with Apple CarPlay and Android Auto, Subaru's Starlink infotainment system is responsive and incredibly easy to use. You'll be able to quickly access your favorite mobile apps. Some of the other standard goodies include Bluetooth hands-free phone integration, a backup camera, and a convenient USB port. As always, Flatirons Subaru offers a long list of exciting upgrades. A lot of drivers will enjoy the larger 8.0-inch touch screen. Meanwhile, music fans will likely fall in love with the 432-watt Harman Kardon premium sound system. Wi-Fi connectivity is available as well. To learn more about the Impreza's great features, contact your local Subaru serving Longmont Denver Boulder Thornton. 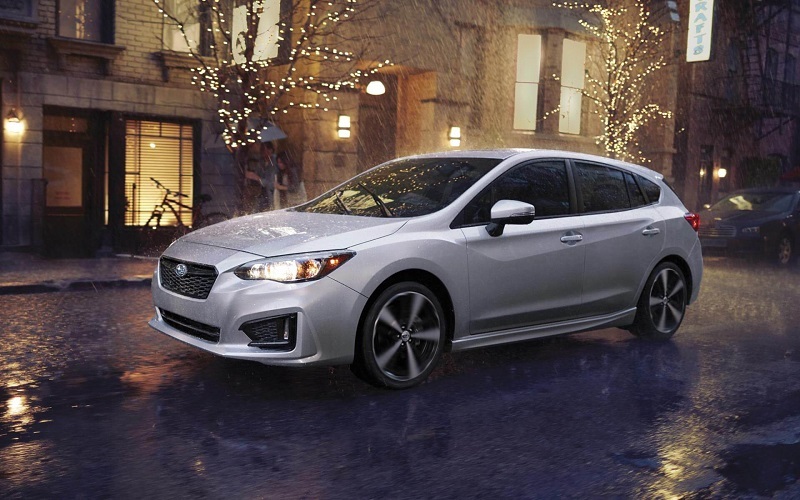 The 2019 Subaru Impreza is designed to deliver outstanding everyday comfort. Because of the car's impressive ride quality, it's a good option for taking long road trips. A four-wheel independent suspension quietly soaks up bumps in the road. You'll also appreciate the Impreza's sharp handling. Electric steering makes the Impreza a genuine joy to drive. To experience even more precise handling, choose the Sport model. Special suspension tuning enables the Impreza Sport to truly hug the road. When carving twisty roads, the Impreza Sport's Active Torque Vectoring system helps promote great body control. Unlike the other cars in the class, the Subaru Impreza provides standard all-wheel-drive traction. You'll be able to churn through snow with greater confidence. Flatirons Subaru welcomes you to come experience a test drive. Motivating the 2019 Subaru Impreza near Longmont CO is a 152-horsepower Boxer engine. The engine's unique design enables it to sit lower in the bay, which helps balance out the car's weight. Aside from the Impreza's punchy acceleration, it's also great on gas. A standard manual gearbox gives the Impreza an especially sporty feel. However, the available CVT delivers a remarkably smooth performance. Very few cars in this class offer as much fun. Make it a point to come take the new Impreza for a spin. You can trust the new Impreza to provide top-notch impact protection. It earned a five-star overall safety rating from the NHTSA. The Impreza also received Top Safety Pick+ credentials from the IIHS. Even base models can now be equipped with a Starlink safety package. You'll enjoy several high-tech driving aids. In the event that you fail to notice a fast-approaching obstacle, Pre-Collision Braking can automatically bring you to a stop. Meanwhile, lane-keep assist helps prevent drivers from accidentally wandering into the path of an oncoming vehicle. Designed to keep a safe distance between you and the next vehicle ahead, adaptive cruise control also comes standard. Blind-spot monitoring can be added as well. Come experience the new 2019 Impreza today! Flatirons Subaru is the place to find all of the newest models.